When it comes to witchcraft, most of us think of Harry Potter, the Salem Witch Trials or caricatures like the Wicked Witch of the West. But did you know that witchcraft is actually considered a religion? Witchcraft is now known as Wicca and the followers of the faith are referred to as Wiccans. Contrary to popular belief, Wiccans do not worship Satan or pagan gods. It’s been said that Wicca is a religion of poetry instead of theology. Instead of attending a church every Sunday, Wiccans conduct their own rituals and ceremonies at a place and time of their choosing. In Wicca, there is now only one God and one Goddess. The God and Goddess can be described as husband and wife or brother and sister, depending on how the Wiccans choose to worship them. The God is the provider of food and the bringer of death. As for the Goddess, she is sometimes referred to as the Great Mother or Mother Nature. She is considered to be the source of magical power. However, not every Wiccan worships the God or Goddess. Others choose to deem nature as their deity. When it comes to Wicca, there is a great deal of spiritual freedom involved. Though Wicca is a very flexible religion, there are two main rules. The first rule, the Wiccan Rede, states: “An it harm none, do what thou wilt”, which basically means do whatever you want as long as it doesn’t hurt anyone else. The second rule is called “The Rule of Three” and it reinforces the first rule by ensuring that any harm or good that a Wiccan does will come back three times over. By practicing these laws, Wiccans can enjoy a sense of freedom and safety in following their faith. How does Wicca differ from other religions? For one thing, women are considered just as important as men, if not more so. After all, the Goddess is considered the driving force behind the faith. Also, human sexuality is thought to be a gift from the Goddess or Great Mother. The Goddess, along with many other aspects, is viewed as the goddess of fertility. So it’s only natural that the Goddess would bestow sexuality on the Wiccans. Last but not least, the environment ranks highly on the faith’s list of priorities. It’s common to find Wiccans maintaining “green” habits, such as recycling or using green products. Wicca is certainly a fascinating religion and if anyone were to convert, they would enjoy a great sense of spiritual freedom as well as a sense of sisterhood. By far the best witchcraft course on witchcraft and Wicca has got to be the Magick Power Home Course. The Most informative witchcraft course on the web will have you casting effective magick spells within the day. Can you define Wicca? Not many people can can. People have applied the principles of magick into their life for years and still cannot simply define Wicca. Wicca is a neo-pagan religion. Wicca’s followers call themselves Wiccans. Most Wiccans adhere to similar philosophies of paganism and modern nondenominational witchcraft. (Read more on Wicca) These are the simple ways to define Wicca, but Wicca is much more. It requires much more study and education than reading on article on Wicca. No one can define Wicca and what it means to its followers. We will give you some basic information about Wicca. If you are looking to become a wiccan then I encourage you to read this article completely. It is easy to get lost with all the witchcraft articles on the web. Bookmark this page and read or reread this post when you can. I will list some things for you to study as you try to define Wicca for yourself. Read a book or two on each subject. Read carefully and read it with the intention of developing full understanding of the magick and Wicca. The Moon – The moon is very important to Wiccans. The moon is like a magickal calendar. You will need to explore what spells work best on what days and really make an effort to understand the delicate balance of the moon and sun, light and dark, night and day. It will enhance your magick. The Colors – What colors to use with what spells. What colors on what days, what colors for what meanings, what colors for what intention, outcome or motive. You will need to know how magickal correspondences work with magick. The Words – Chants, melodies, incantations and poems. The words we use in spells has a immense power. Incantations will help you manifest your desires. Real magick works with intention. The Tools – Learn as much as you can about the athame, pentacle, censor, bell, chalice and more. Learn and explore why some witches use the wand and some don’t. The Candles – Candles are another effective tool of magick. Because candles are important to raising the energy it is best for all beginners to study candles and candle magick in depth. The Herbs – Rosemary, ginger and roses. Herbs can really have a natural way about them. They will enhance the right spells and accentuate the true intentions of your desires. Treat herbs carefully and wisely. Find out their meanings and understand how to handle them properly. There is no simple way to define Wicca. Wicca means a lot of different things to different people. I am often accused of looking at things to literally, but I would love for anyone to show me a simple definition of faith. Let alone, someone else’s faith, or even better yet… your own faith. Wicca is a religion and like most it has a standard definition and a personal one. This way people can personally define Wicca and what it means to them, how they incorporate it in there life. Wicca, as I define it, is magick. Magick is energy. Wicca is the way to use magick (or energy) to create and manifest the life you want. You have to have focus, faith, knowledge and determination. Magick and Wicca are essential in my day to day life, and I live a wonderful, magickal life everyday. HOW DO YOU DEFINE WICCA? Leave your answer in the comments section below. What is Wicca to you? Wicca is a religion. 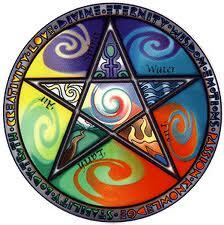 Wicca is not only about harnessing or using magic, although it is an inherent part of the religion. Wicca to me is more about acknowledging your place in the great and expansive Universe and your evolution as a capable, knowing and spiritual being or individual. Wicca is about moving forwards on your life path, going forward on your own personal spiritual journey. Wicca is about learning, exploring, growing, and become the best individual you can be. Wicca at its core is a religion. Wicca is a way to communicate and interact with the Universe, Deity, and your wishes. It has been my life affirmation, and my path of growth and expansiveness. Wicca’s ideals are based in part in reverence and admiration for nature and her earthly cycles. Wicca relies heavily in the ideals of respecting nature, earth and her creatures. Wicca holds high the natural powers of the Universe and sees these forces of nature reflected in the world around you. Wicca is the belief that natures forces are in every person and everything. Wiccans hold great admiration or reverence for Deity; which can be masculine or feminine. Wiccans approach the aspects of Deity through many forms, names, and ideals. These concepts are drawn from the whole world throughout time. Deity is like a diamond with many facets, each individual and unique, each beautiful and each connected. Wiccans believe that Deity comes to each individual in the way that can be best understood for that single person. Wiccans believe that Deity is many things to many people and it is understandably different for different people. 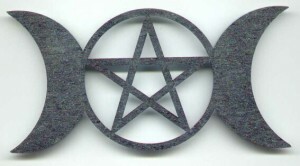 Wiccans also believe that the bonds that are formed between a person and Deity is unique, personal, and subjective. Like with many faiths, not everyone will have the same understanding, views or thoughts of Deity, because not everyone is in the same circumstances, place or have the same perspective. This is one of the most important reasons why Wiccans believe no one has the right to judge another person’s bond with Deity. Because each person is unique and different, so is their relationship to Deity. Wicca symbols are an interesting way to keep your spells and other Wiccan related materials private. Like the Wiccan alphabet, these symbols of Wicca can be used to write spells, wear on your clothes and use in charms or magickal workings. You can read more about magick runes and the wiccan alphabet for more detailed ways to make use symbols, Wicca is an individual religion and you should look for guidance from your spirit guide if you need a better understanding of the Wicca pagan symbols. These runes/ Wicca symbols speak to your subconscious, you will find these symbols of Wicca very easy to understand and utilize. You can use these symbols of Wicca as a statement. You can place the symbol of something on your page, clothes etc to represent your statement. Below are around 75 wiccan symbols for your use and perusal. Take the time to understand and learn these very important and more commonly used Wicca symbols. You can also put these Wicca pagan symbols on your spells candles, runescripts and more to further state your magickal intention. Wiccans of all backgrounds and paths use the pagan symbols for rituals, spells and everyday journal writing. Learn these Wiccan symbols is especially nifty for those of you who are younger and wouldn’t want your parents to pick up your book of shadows and discover your path without you telling them. While each symbols has a basic meaning, it may have a more detailed meaning depending on your path and personal view on the Wicca symbols. You can find a lot of useful information online, so if this doesn’t appeal to your path get out there and find your way! These wiccan symbols, the wiccan alphabet, and magick runes are something I use almost daily. It really help me define the type of witch I am and it continues to help define my path and intention with every magickal working. I always stress that you should get a temporary tattoo BEFORE you permanently tattoo the Wicca/rune symbol permanently. This is because the symbols hold power, energy and adversely affect your mood and energies. So feel free to learn more about the runes below, and leave some rune spells of your own in the comment box. Here is some more information on Pagan Symbols.